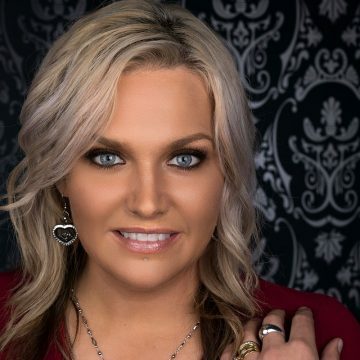 Powerhouse Vocalist Seleen McAlister is at the pinnacle of her solo career, Seleen was named Female Vocalist of The Year at the 2016 Mildura Southern Star Awards and is a Twice Nominated Finalist in the prestigious Golden Guitars Awards for Best New Talent in 2016 and Female Artist of The Year in 2017. A county girl at heart Seleen’s Family lived and worked the land throughout North Queensland and spent many holidays with family on working cattle stations. Travelling around country towns and performing from a young age has always been a very fond memory for Seleen and shaped her life and career. Seleen happily juggles her busy career as well as her loving family of 3 alongside her supportive husband of 23 years Jason. Seleen’s career already spans 30+ years taking the stage at the tender age of 11 it was then she realised the intoxicating highs of live performance a skill she has honed and crafted through the years. Seleen’s ability to speak to her audience through songs pertaining to her life experience is breathtaking to watch. After the success of her 2nd Album “Follow The Journey” which secured her Second Golden Guitar Nomination the future ahead is shining bright with a Touring Schedule in planning and a 3rd album.